Newest Pages: McArthur Maze Freeway Fire in the West Coast section and Earth Day Celebration with Stephen Marley and Bob Weir in the Rock N Roll. All photos copyrighted by Philip Liborio Gangi. Not to be used without permission. Freeway Fire on the McArthur Maze, Oakland, California. 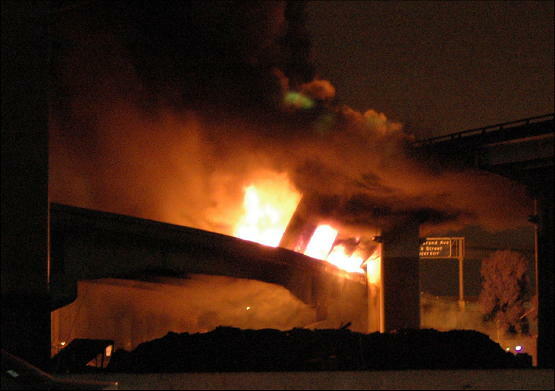 On my way home from work on April 29, 2007 a truck explodes and the freeway goes on fire. To see more photos from this collection click on to the West Coast section on the left column. Earth Day Celebration with Stephen Marley and Bob Weir. 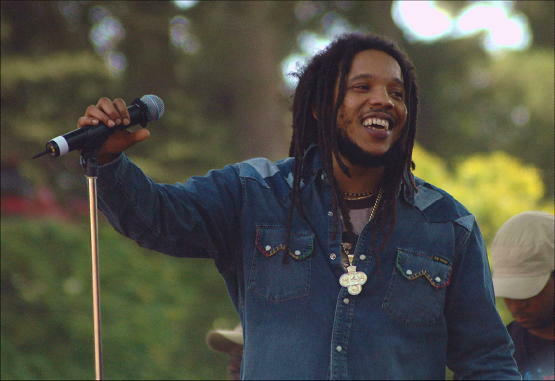 Stephen Marley performs in Golden Gate Park on April 22, 2007. To see more photos from this collection click on to the Rock N Roll section on the left column. 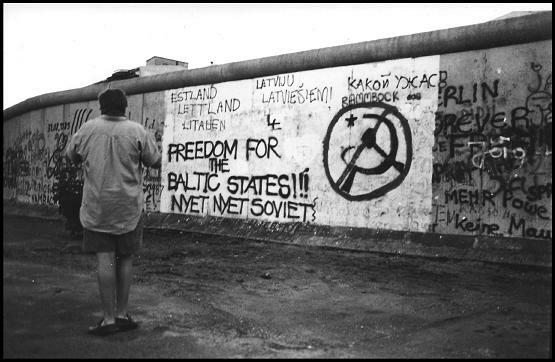 Black and White Images from Berlin and Scandinavia, 1988. A view of the Berlin Wall from the West Germany side. To see more images from this collection click on to "Europe" on the left menu column. 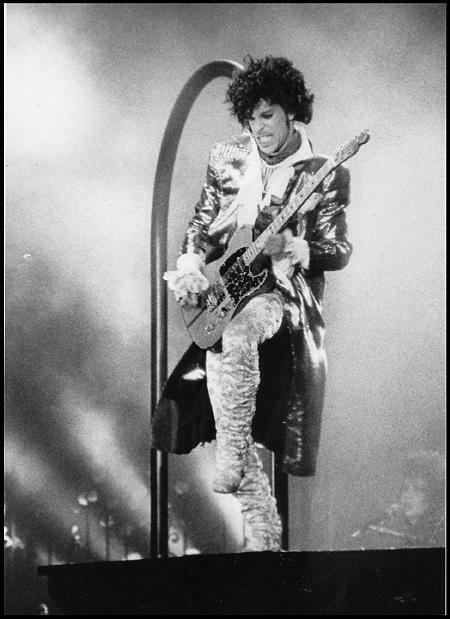 Revised Page - Prince At The Cow Palace, 1984. To see more photos from this collection click on to the Rock N Roll section on the left column. See "Family Dog Presents A Chet Helms Tribal Stomp." 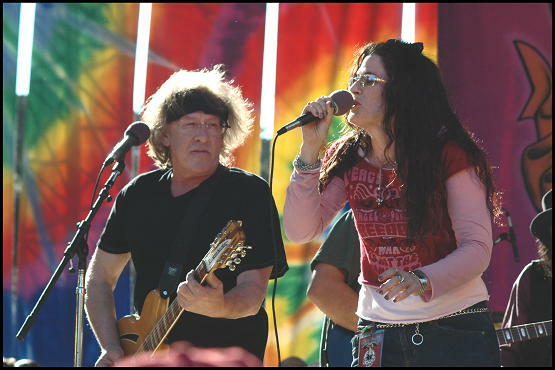 The latest version of Paul Kantner's Jefferson Starship performs at the Family Dog Tribal Stomp tribute to Chet Helms on October 30th. To see more photos from this collection click on to "Rock N Roll" in the menu column on the left. 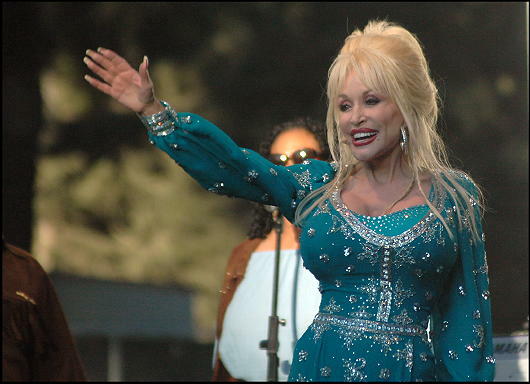 See the new page "Dolly Parton in Golden Gate Park." Dolly Parton performs at the Hardly Stictly Bluegrass Festival in Golden Gate Park. To see more photos from this collection click on to the "Rock and Roll" column on the left. See the new page "On the Streets of Times Square, New York". 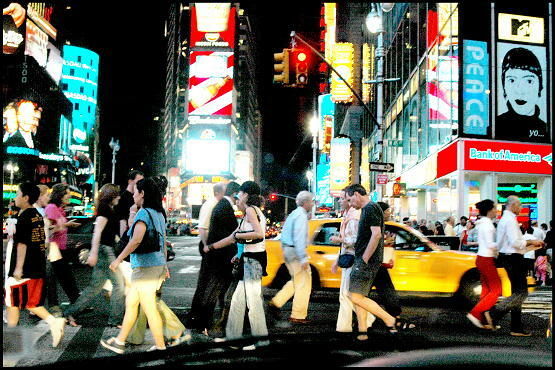 Pedestrians cross Broadway in New York's Times Square. To see more photos from this collection click on to "New York" in the left column. See the new page Best of "From the Taxi Driver's Seat". 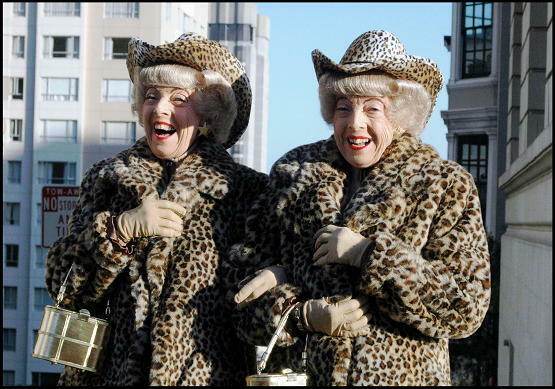 The above portrait of San Francico's most famous twins Marian and Vivian Brown was taken when I was at a red light while driving my taxi. To see the other photos in this collection click on to San Francisco on the left colummn. 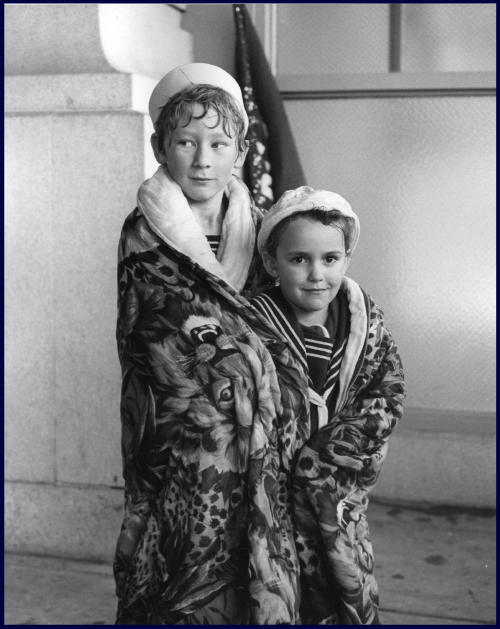 One of my early 35mm photographs taken of two kids trying to keep warm and dry at a rainy St. Patrick's Day celebration in San Francisco in the early 1980s.